But on the second page of Lucky Jim I got collared by this description of two men crossing a lawn: “To look at, but not only to look at, they resembled some kind of variety act …” But not only to look at. What an exhilarating thing to do to a sentence. Literature had never sounded like that before. 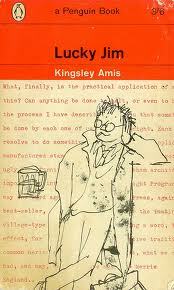 Amis was right there in the book with you, twisting his sentences like trick balloons.